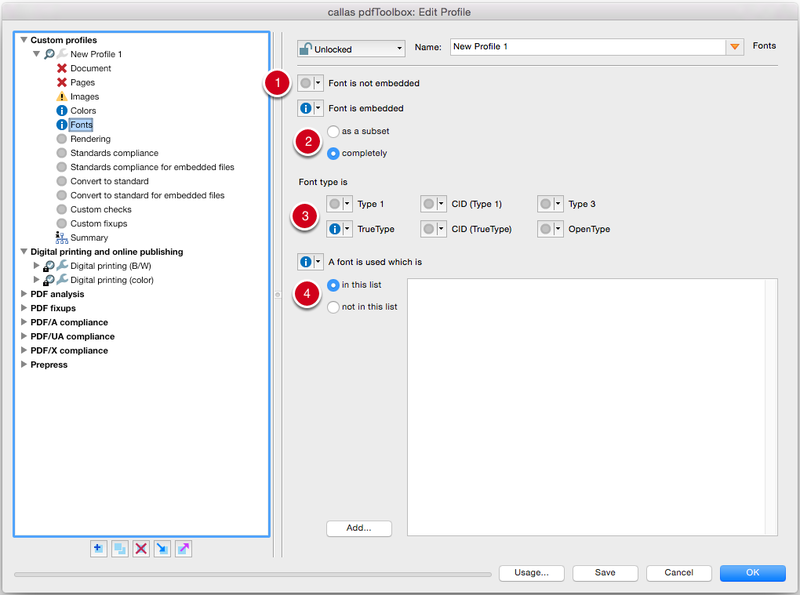 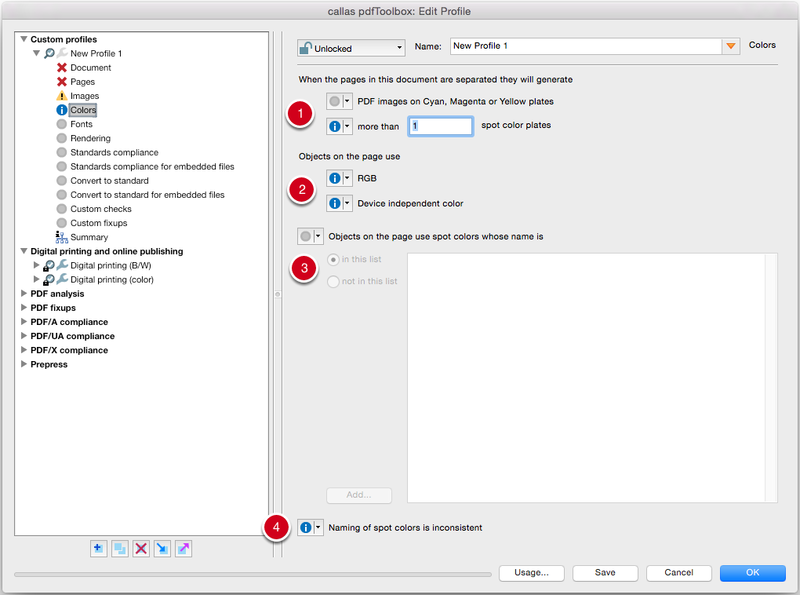 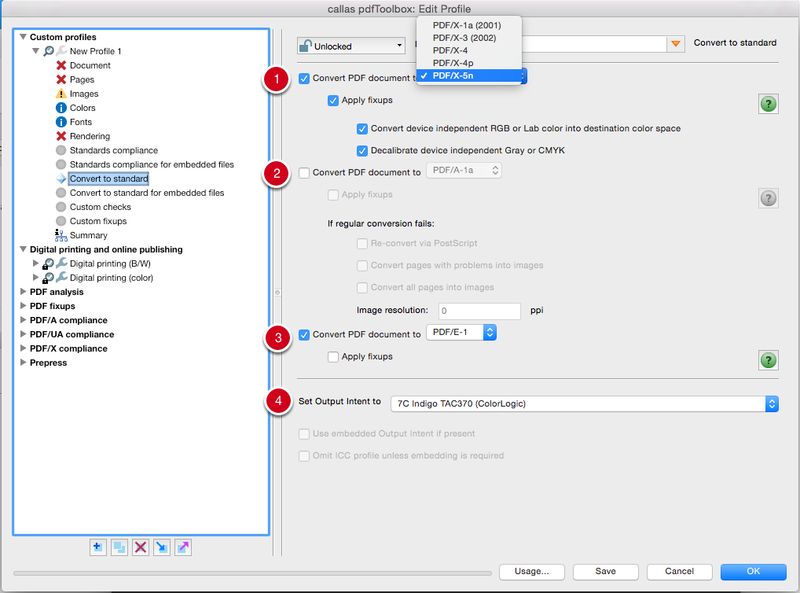 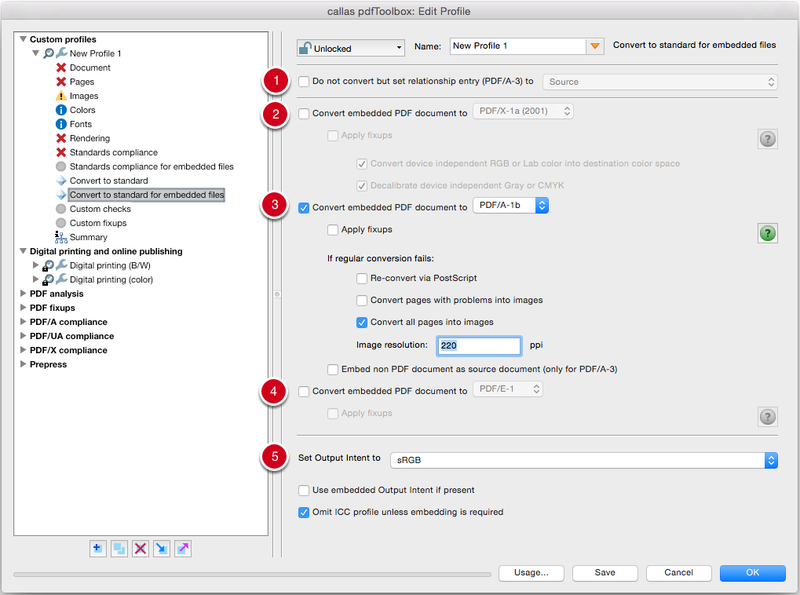 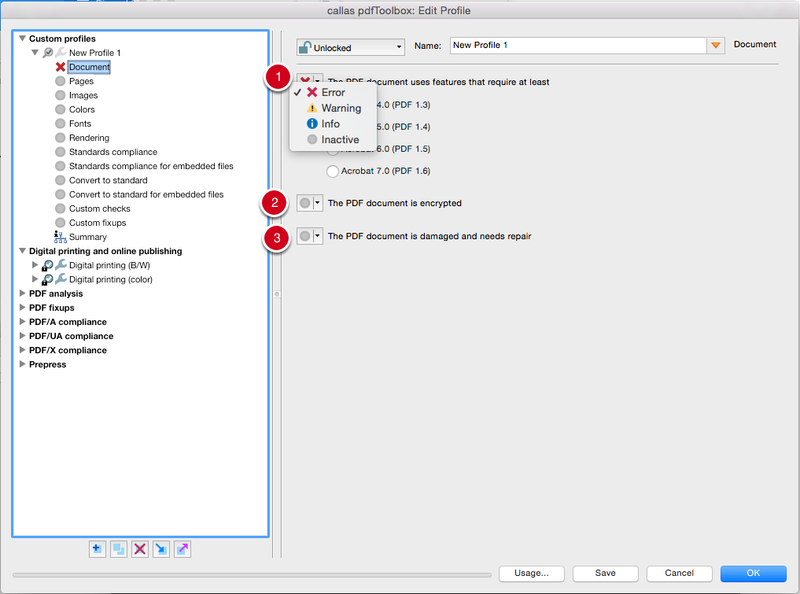 pdfToolbox provides a wide range of Profiles from a number of different categories, including digital printing, prepress, PDF analysis, PDF fixups and PDF standards. 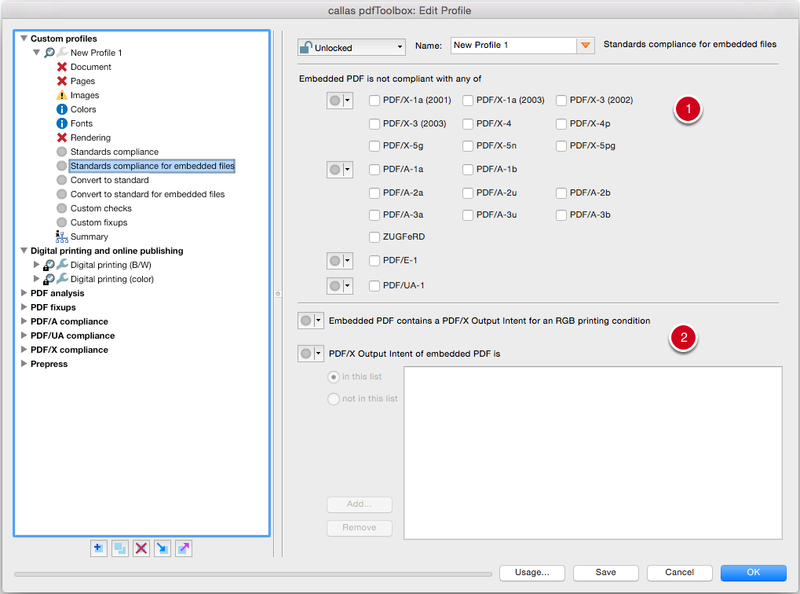 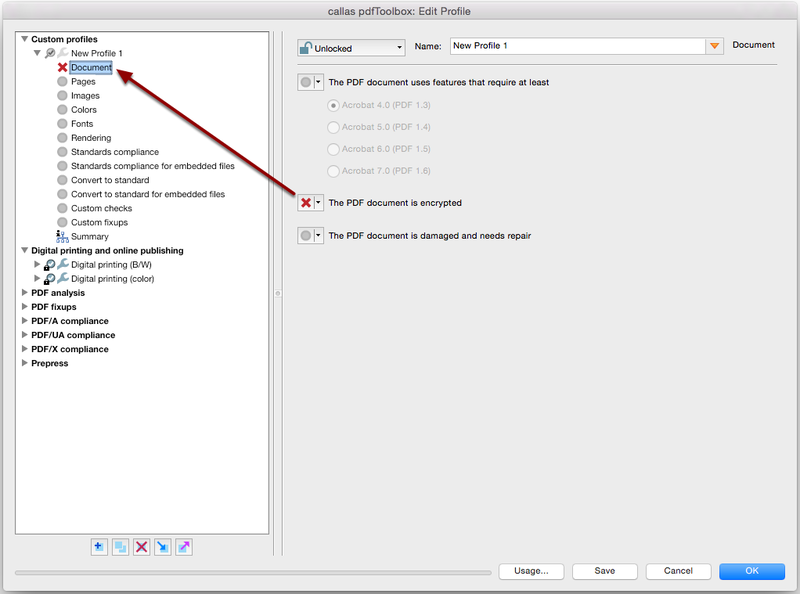 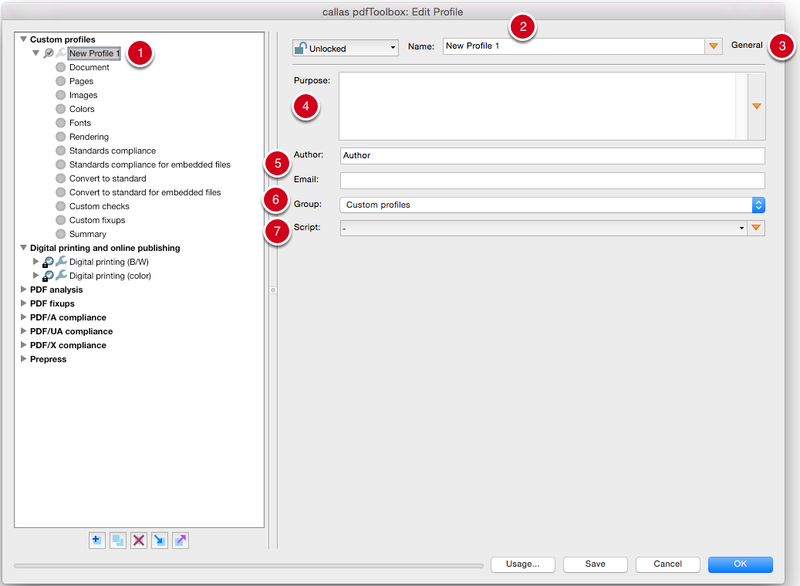 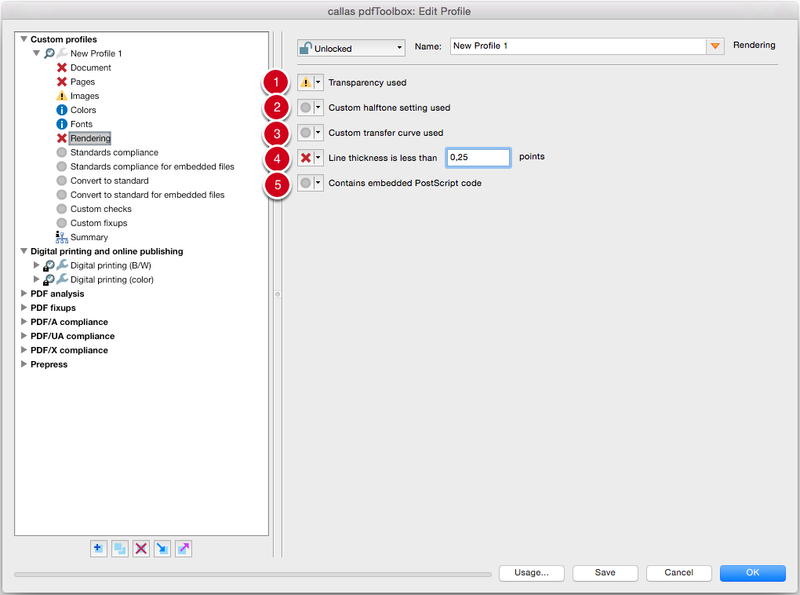 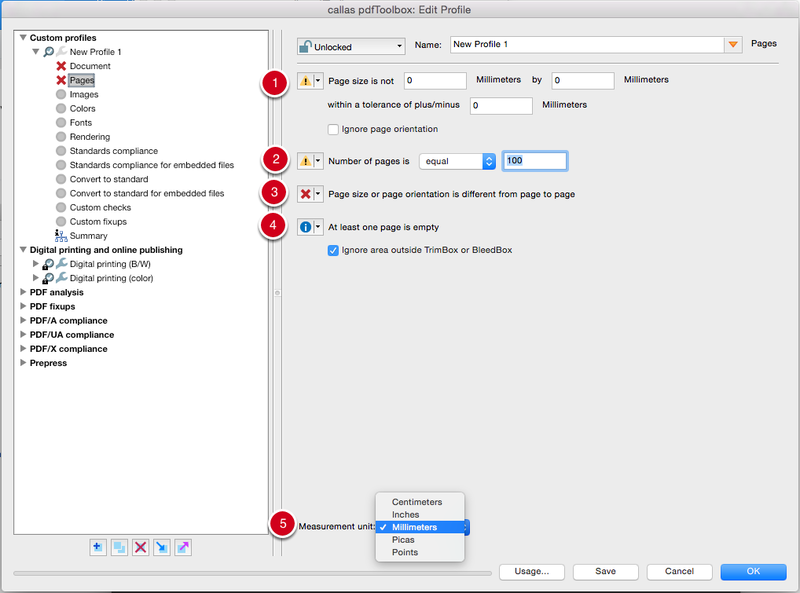 Under Custom checks, you can select entries from the list of all available pdfToolbox checks and integrate them into the new profile. 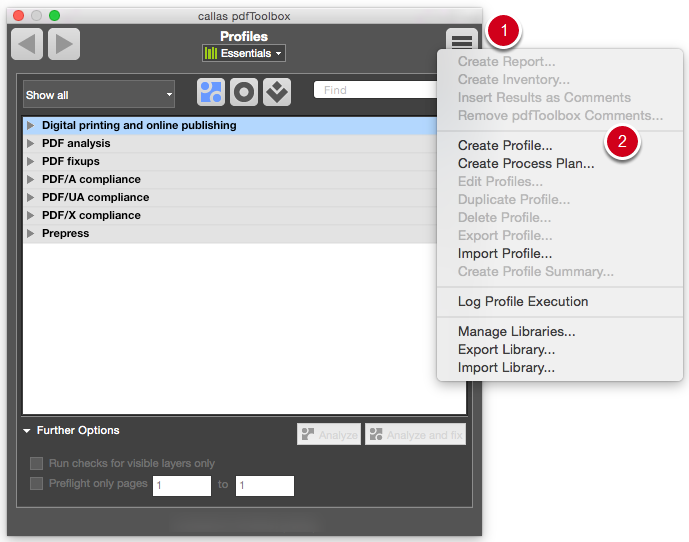 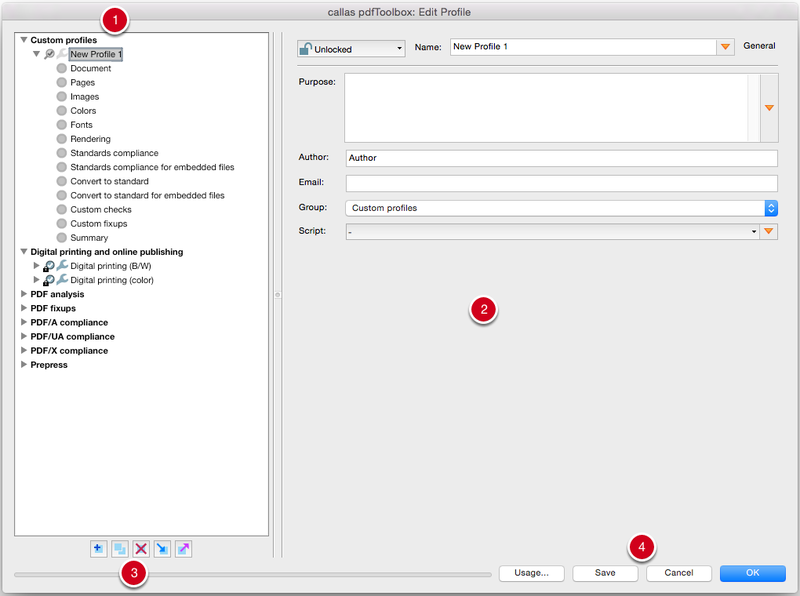 The right hand side shows the list of Checks available in pdfToolbox. 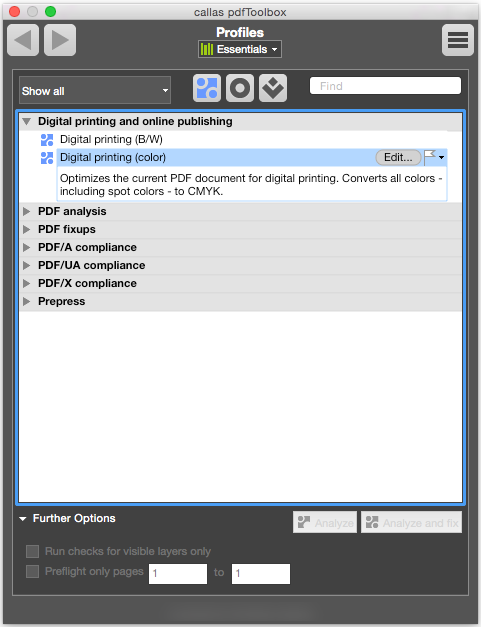 It can be considered the “inventory” available to you. 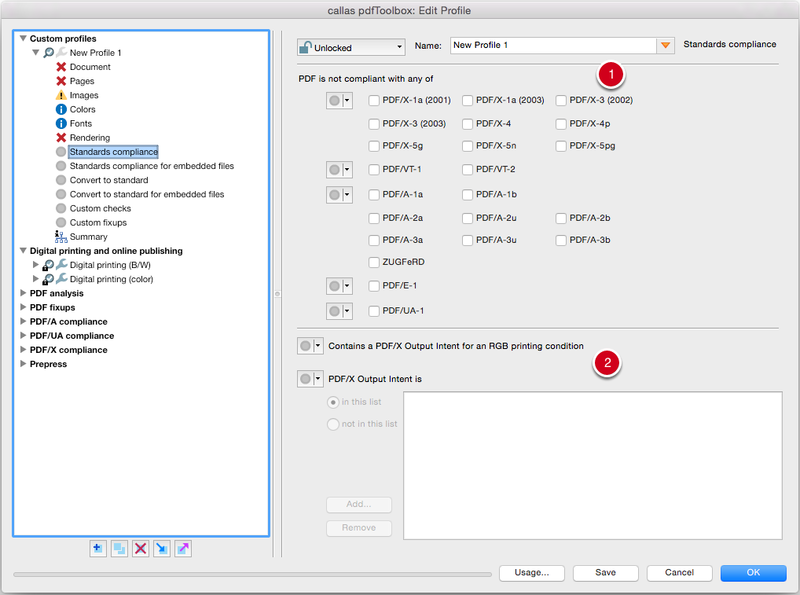 Under Custom fixups, you can select entries from the list of all available pdfToolbox fixups and integrate them into the new profile. 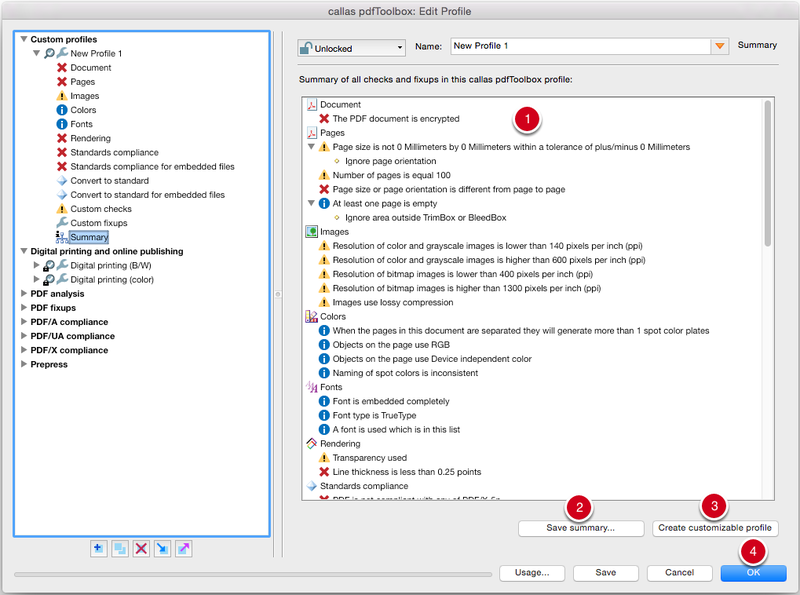 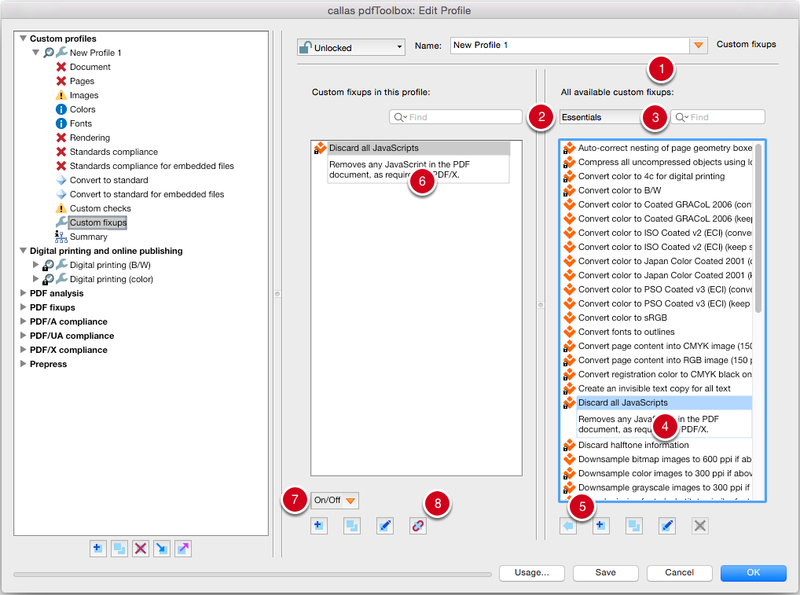 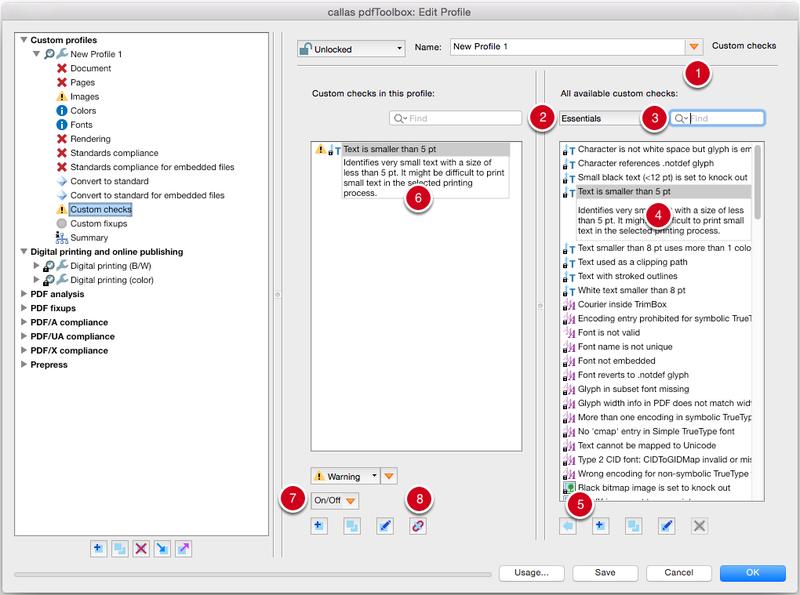 The right hand side shows the list of Fixups available in pdfToolbox. 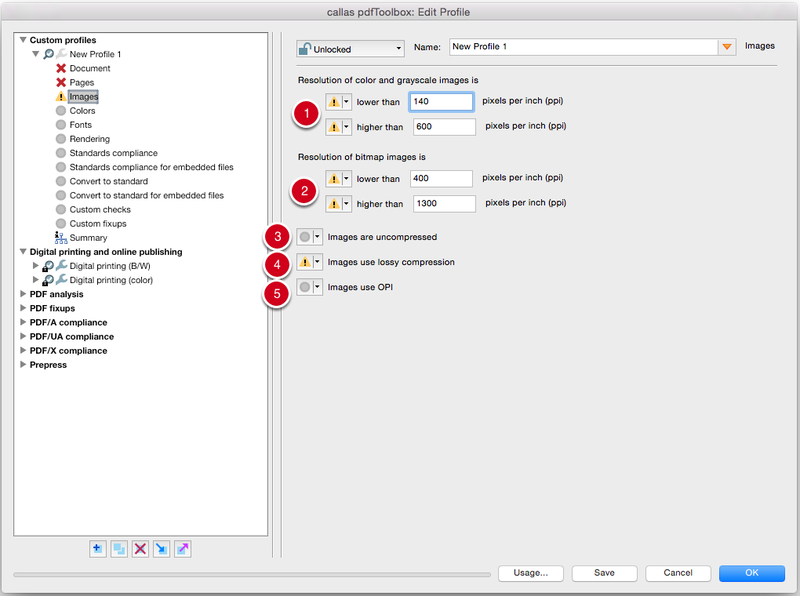 It can be considered the “inventory” available to you.